Opera Software has just released Opera 11.01, an update to Opera 11 which adds security fixes and stability improvements to the popular web browser. The final version has been released after numerous snapshots and two release candidates. The changelogs list numerous fixes for bugs that caused crashes in the web browser, including installer fixes and site specific issues that include fixes for popular sites such as Facebook or Vkontakte. Users who dig deeper find several improvements as well. The team has for instance fixed various mouse gesture sensitivity and recognition issues or the option top open the Mail Panel as a tab when only feeds are used. The full changelogs are linked from the blog post announcing the new release. 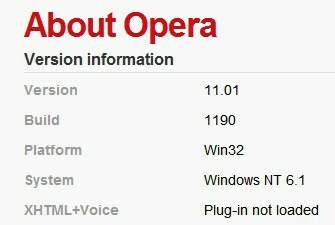 Opera 11.01 is a recommended update for every Opera 11 user. It is possible to update the web browser directly by clicking on Help > Menu > Check for Updates. The latest version of Opera can also be downloaded directly from Opera Software. Is it remotely possible to wright more about Opera instead of Firefox on your blog Martin? I mean it is superior browser comparing to Firefox. No joke. Peace. Only reason Chrome is less desired is a result of Google stance on privacy. Google tracks and peeks on your browsing activities.